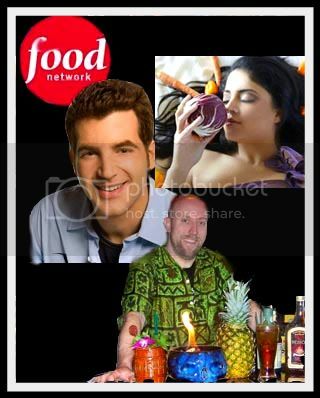 Being first runner-up for "The Next Food Network Star" in 2008 hasn't held Adam Gertler back one little bit. He went on to star in Food Network's "Will Work For Food, " in 2009, and is seen on "The Best Thing I Ever Ate." His new series for Food Network, "Kid In A Candy Store" debuted on July 12. Adam, an Art of Living favorite, returns to talk about what's been going on in his busy life, and plans on the horizon. Summer makes me think of Mojitos at Fishwife, a small local restaurant, where they make the best I've ever had - to date. Martin Cate could be called the 'Rum King.' His "Smuggler's Cove" bar was designed to celebrate the incredible diversity and versatility of the world's most exciting spirit: Rum. He was named by the San Francisco Chronicle as one of six Bay Area bartenders "essential in defining cocktail culture here and across the country. Martin trained as a bartender at Trader Vic's flagship San Francisco location and is a member of the United States Bartenders Guild. He is also a passionate rum collector, having been to over a dozen distilleries in six countires. He is a tasting judge for international rum competitions, and has led seminars at Bourbon and Branch's Beverage Academy, Tales of the Cocktail, and Tiki Oasis. Sonia Hunt is Founder and CEO of Noie Productions, an independent media production company spawning organic, innovative and chic culinary media. Sonia has created and produced a new Food/Lifestyle show that focuses on interesting stories in the culinary arts. Together with James Beard, Michelin rated, Emerging chefs and culinary legends, she is taking the traditional tastes and flavors that we grew up with and reconstructing them for today's foodie.